NEW LISTING! PLEASE CALL OR EMAIL FOR LATEST PRICE. 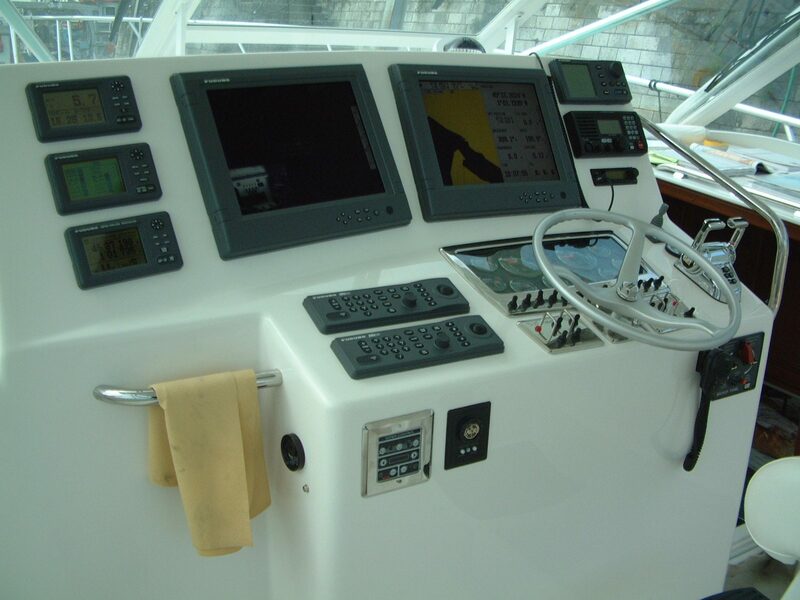 Marvellous Cabo 45 Express available for sale in Europe! Original full factory 220V/50Hz systems and CE Certifications. 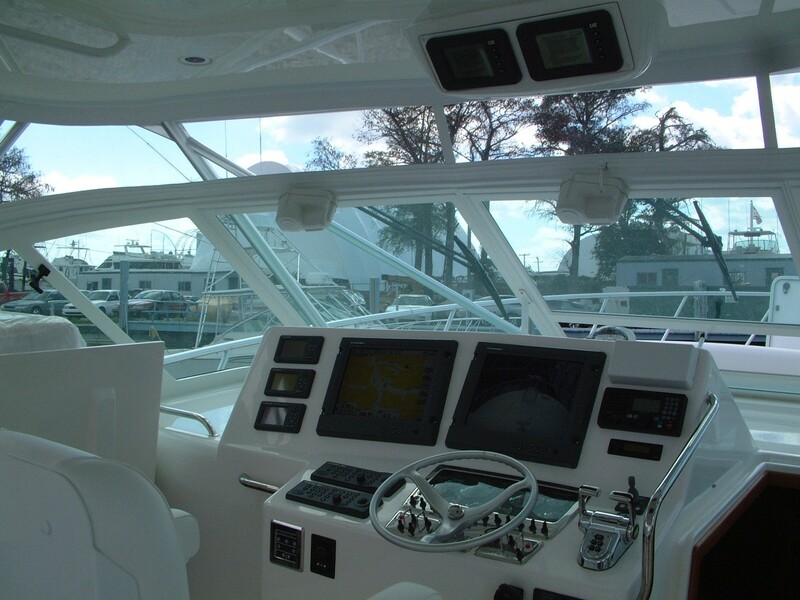 When she was introduced, the CABO 45 Express garnered Boating Magazine’s “Boat of the Year” award her first year in production. 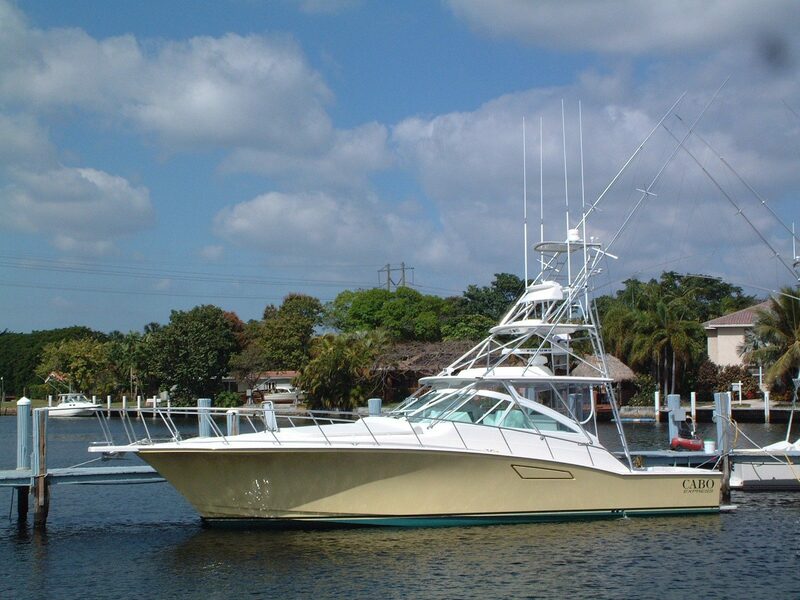 The critics referred to her glowingly as the “…unchallenged big kahuna on the market that transcends the rest of the pack not only in terms of design, but also in engineering, construction and gorgeous-to-look-at pulchritude.” When you step aboard a CABO 45, you’ll immediately understand why almost every boating magazine in the world has lauded this CABO with superlatives. You’ll be astonished at what the 45 Express is capable of when chasing down a fish. Not only does she turn on a dime, back down like no other, but the 45 Express stays right where you put her, even in the roughest of seas. 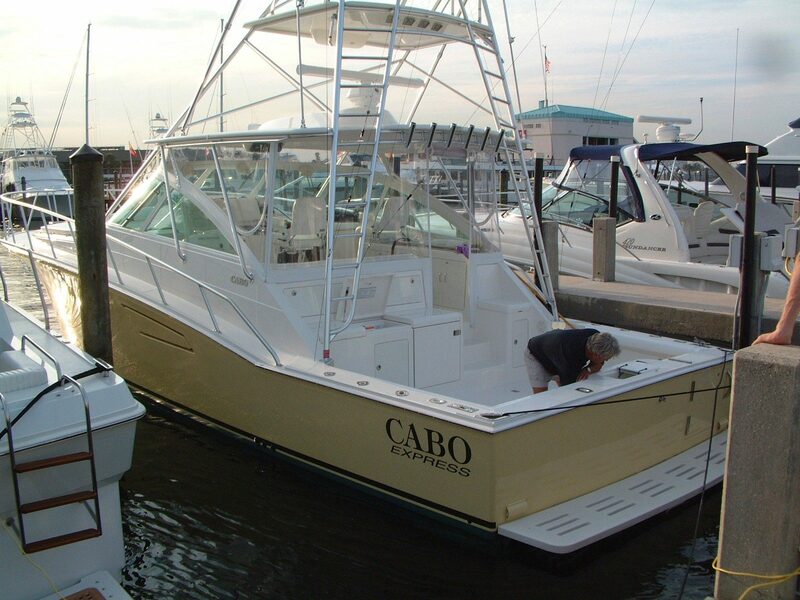 And, because of her wide beam, modified-V bottom and low center of gravity, this CABO is a fighting platform with unequaled stability in all conditions. 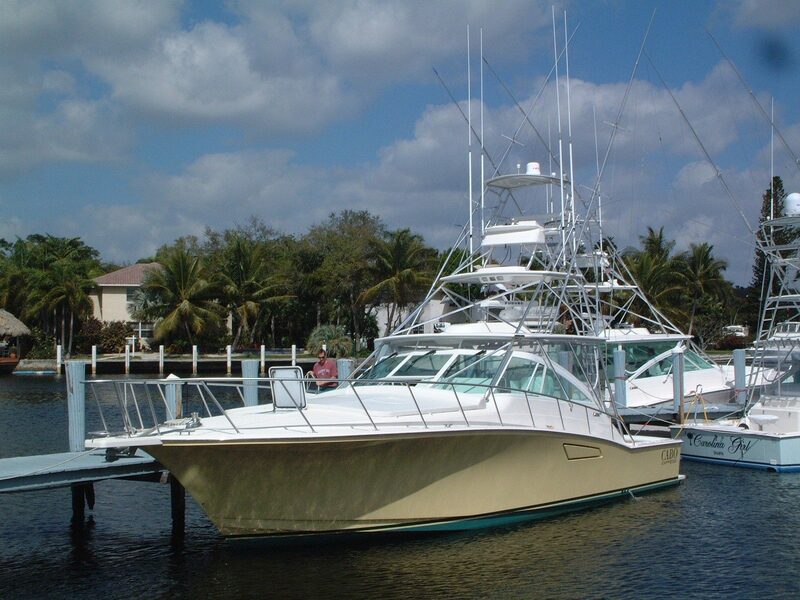 Sold new by our company and first commissioned in May 2005, this Cabo 45X was built for the European market, with CE Certification and full 220V/50Hz systems. 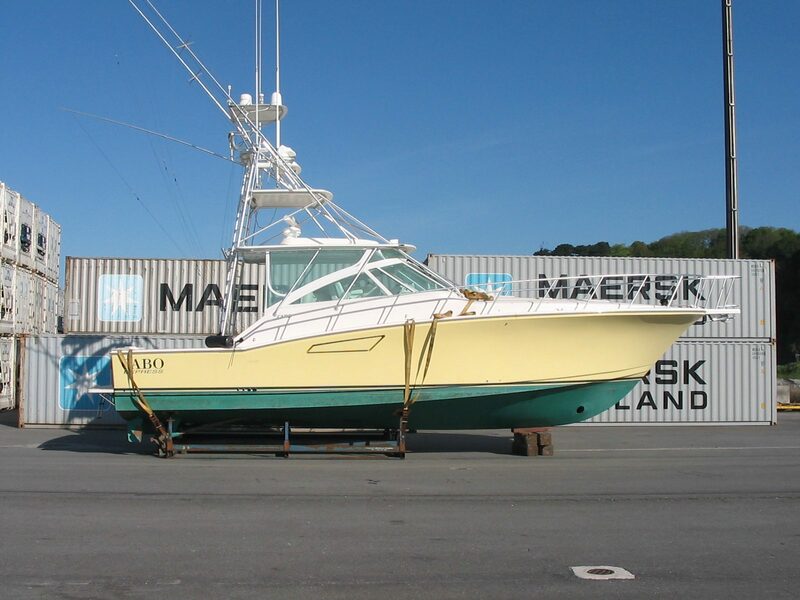 Conceived by its owner as a true sportfishing boat adapted to the European market, this 45X has low hours on its twin CAT engines and has had only one owner since new. Please call for further details & specs! 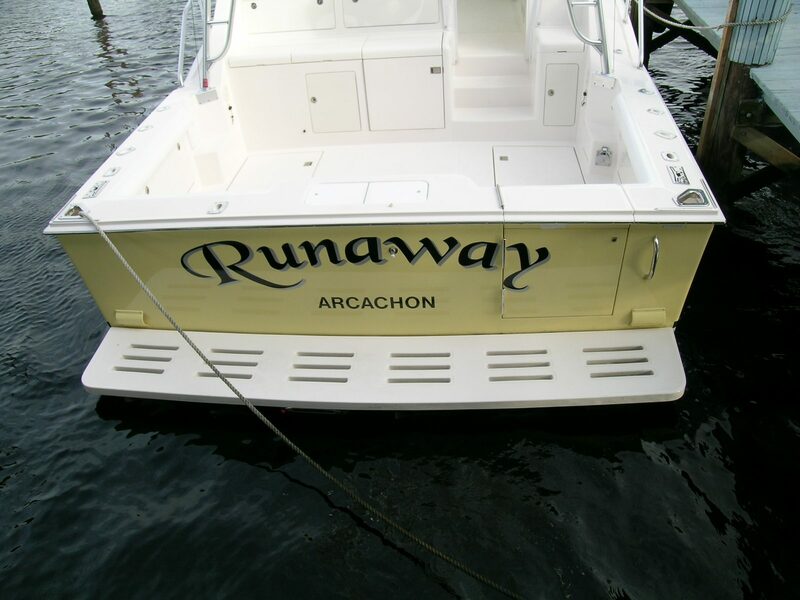 Thanks for your interest in RUNAWAY. Please fill in the form below to send us a message and we'll be in touch soon. Or you can call us on +377 9770 3136 and we'll be very happy to talk with you.